I'm not entirely sure where to put this, but since it's essentially a prequel to Space Squad II, it may as well go here. Toei announced a side project a few days back. They're doing another tie-in movie ahead of Space Squad, like last year's Girls in Trouble. This time it's... Hero Mama League?! It sounds cool enough - and I'm always up for more Nao Nagasawa - but this one feels like it's coming out of left field. Though I reckon this means Girls in Trouble must have done well. And fittingly, this is being released next month on Mother's Day. Last edited by ViRGE on Mon Apr 16, 2018 3:05 am, edited 1 time in total. It has Ayumi Kinoshita in it?? I'm sold. Thanks for considering it! Why couldn't they just name it to Mama Sentai something? Regardless I'm finding this intriguing too. Was the guy in there the actor for Kinji Takigawa? Oh wow, there's even a trailer for this. Thanks TV-N crew! It's an odd project for sure. It seems like it's almost a farce, but then you realize Japan has a population problem and that someone seriously means for it to be propaganda. I'm just hyped that Houka is back. We see Nao and Kinoshita all the time, but Houka only appeared for a few seconds in the Gokaiger finale. We want MagiPink! 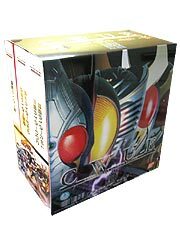 I think most of the rest of the MagiRangers are retired, but we can probably still get yellow, maybe green for something? No idea if red is still acting. Okay, but can we dump KyuuRanger and make this its own thing? But that would make too much sense. Also, how would you get kids to watch it if it only involved old heroes? On a more practical answer, I would not be surprised if the budget for this comes from the Returns & VS movies; so there was probably a concession or two made to make it happen. Was Girls in Trouble actually any good? I didn't bother with it assuming it was typical Sakamoto fanservice garbage. Looking into this he doesn't seem to be involved, so I may check it out. Girls in Trouble was surprisingly good despite Sakamoto? I enjoyed it, and while definitely fanservice-y it didn't take it too horribly far. I'd check it out if I were you. This one's not Sakamoto and it's a female writer, plus the director did TOQ vs Ninnin which was actually pretty good? So I'm keeping fingers crossed for this one. Is this Hayama Koichirou's directorial debut? It looks like he was just an assistant director for Ninnin VS Toq. I may have accidentally read the title as that the first time I saw it. I am just laughing at the idea that this series is created as a going-on trend of telling fans that Hurricane Blue and Deka Yellow are taken. So what you're saying is that I do have a chance with Nao Nagasawa?